It’s been a hectic time around here, and the blog has been neglected. I apologize. Things seem to be settling down a bit and we are getting into a nice flow. This weekend we really wanted to take it easy. Nowhere to go and no company meant we were pretty much free. I was missing my foodie friends, so I decided to see how the Ottawa Foodie Challenge was shaping up. We met the foodiePrints crew down at Isobel’s Cupcakes new location in Hintonburg and were able to enjoy a good coffee and great conversation. 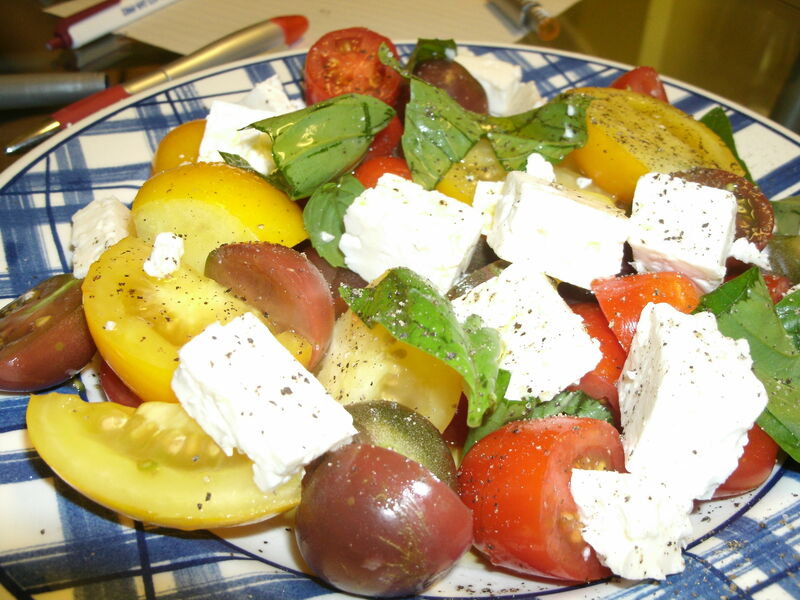 Taking time to do a few things we wanted meant a good supper with little work. Before we left I started my pulled-pork in the slow cooker. 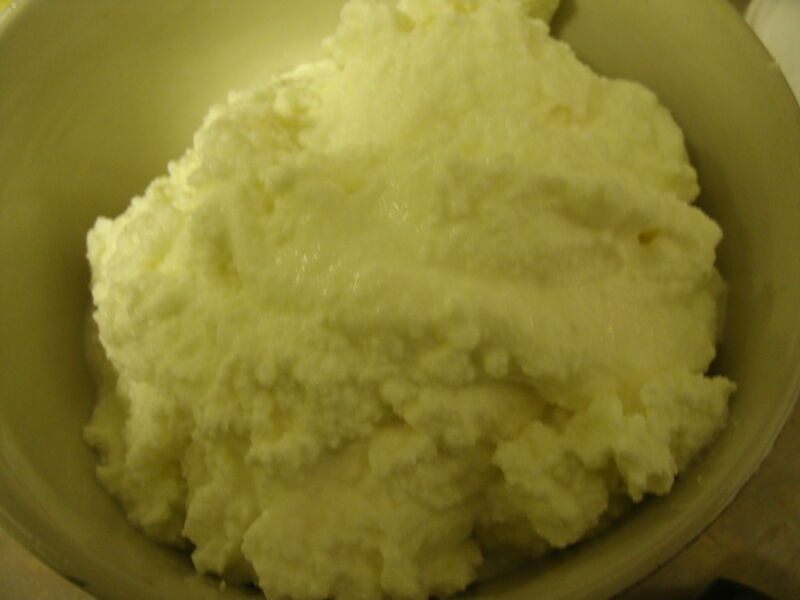 I have been asked for the recipe several times because it’s so easy and good. 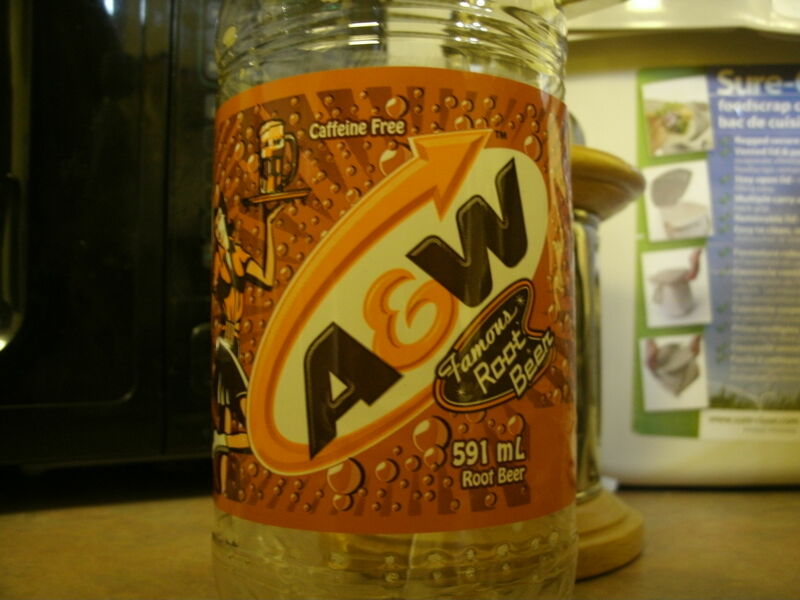 Roast, root beer and some salt and pepper in the crock-pot on high for 5-6 hours. At the end of 5 hours drain the root beer off, shred the roast, pour a good bottle of barbecue sauce over the shredded pork (some folks like a little less, use your own judgement) and cook on high for another 30-45 minutes. 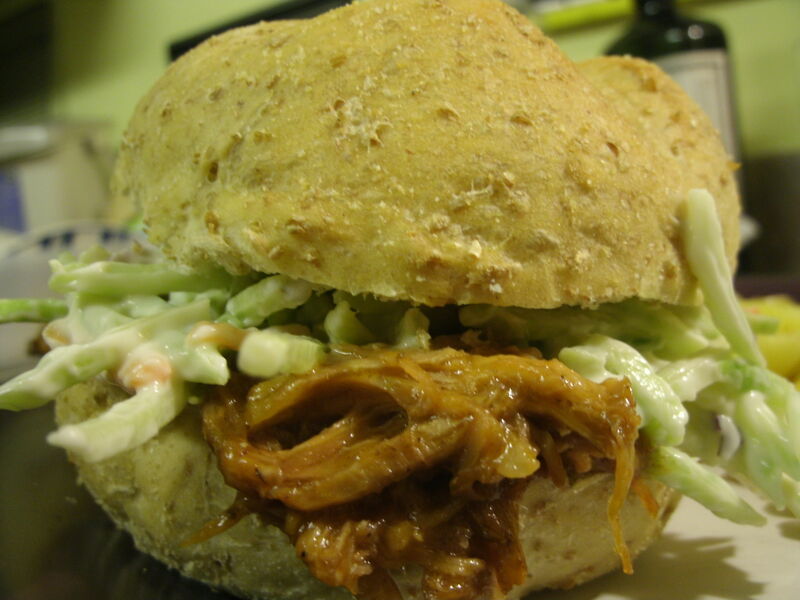 Serve on crusty rolls with your favourite coleslaw. There it is folks an easy recipe that will let you enjoy your day. My good man makes his oven baked fries to serve with this. 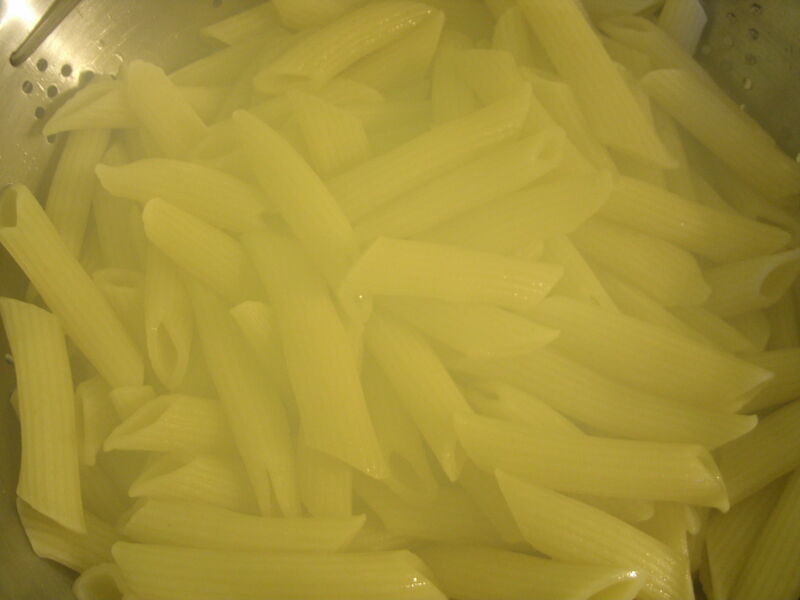 Okay really it was penne because I couldn’t find fresh ziti, nor did I have time to make it. I was pumped for La Vendemmia, Preston St.’s up-coming celebration of food and wine and I wanted to cook something to get us started. Easy and delicious this is one dish I will make again. Cook ziti until al dente (I use fresh). 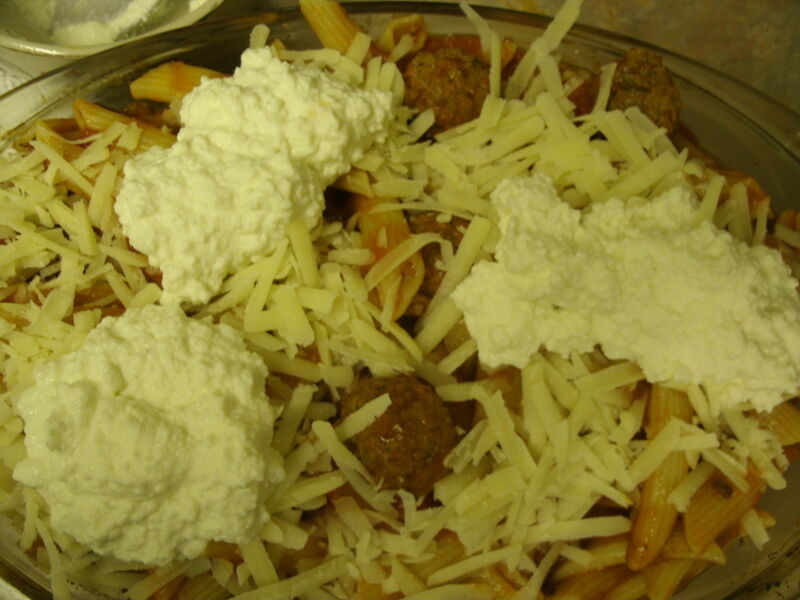 In large bowl mix ziti with 3 cups of sauce and meatballs and half of the grated cheese. 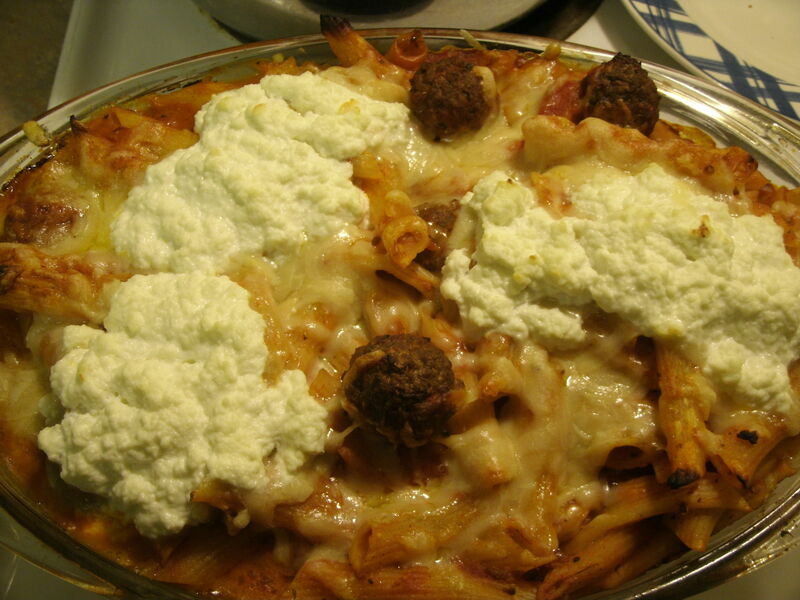 Spoon half the ziti mixture into a 9×13 baking dish. 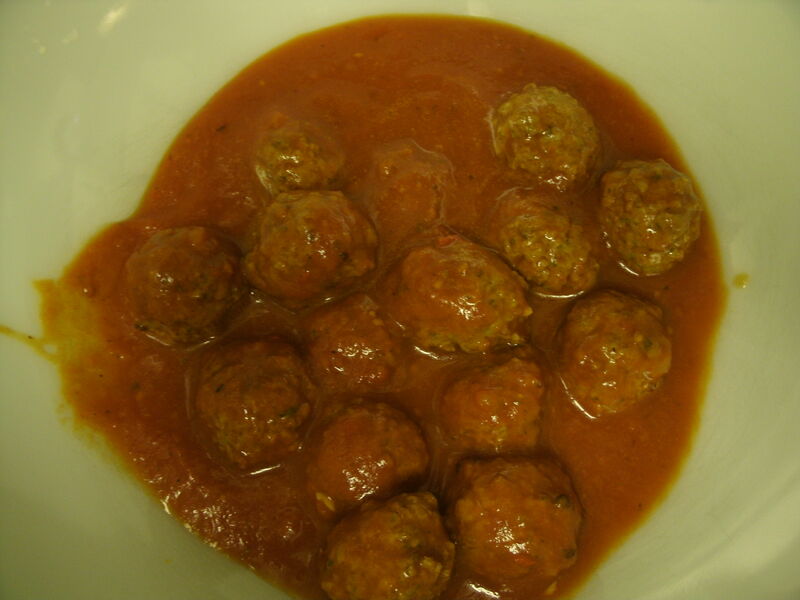 Spread half ricotta, then top with 1 cup of sauce/meatballs. Spoon the rest of the ziti mixture over and top with rest of the grated cheese, sauce mix and ricotta. Bake for 45 minutes covered with foil. 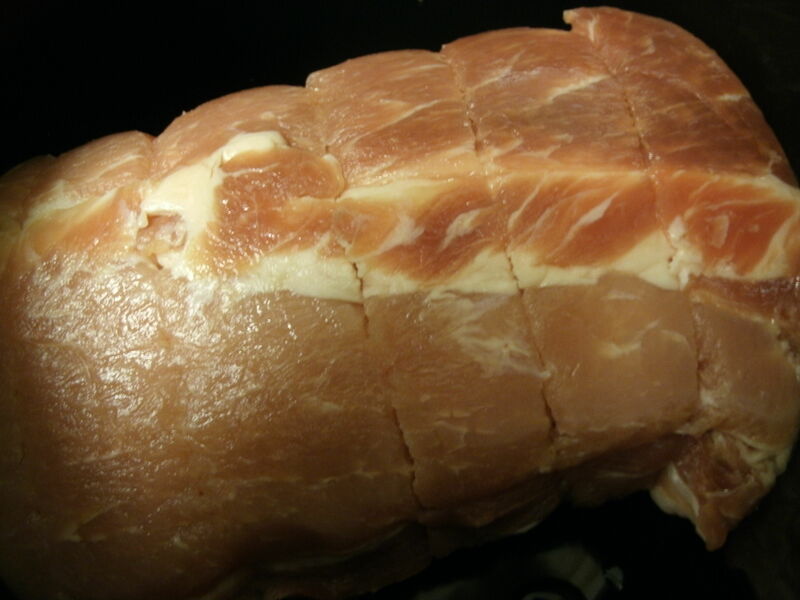 Uncover and bake 15 minutes longer. Cover again and let rest for 15 minutes before serving. I am not a big fan of the French fry. Honestly no one believes me, and poutine scares me, I have had one in my life (tasted about 3). Fellow food bloggers (foodieprints) and many people I know have recently been blogging about poutine, participating in poutine crawls (one in particular supporting local athlete, Isabelle Rivard in her GIVETOLIVE challenge to raise $10,000 and bike 4265 km from Vancouver, BC to Austin, to take part in the LIVESTRONG Austin TX Challenge in October). 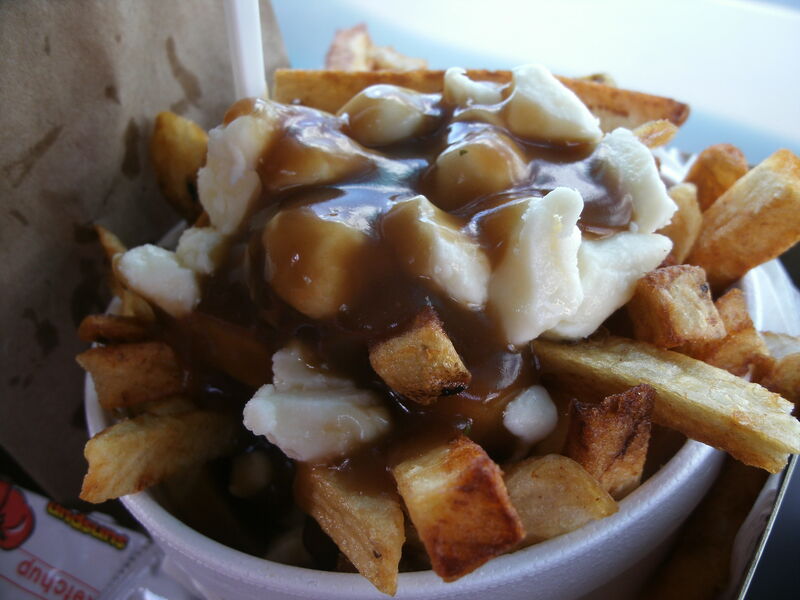 I have also had a guest blogger write about poutine in Auckland. 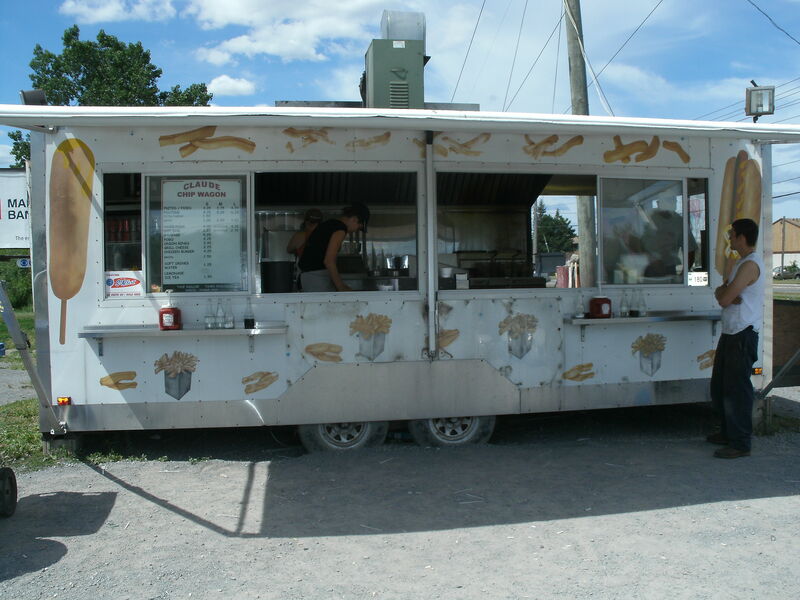 Even CTV is asking viewers to help discover the best chip truck in the region. I do however live with a French fry lover, a man who worships poutine, but because I try to stay away he very seldom indulges (or at least that’s what he tells me). My favourite chips can be found in Sturgeon Falls, Ontario my Father’s hometown and a place I have spent many, many holidays and weekends. There are two competing chip stands, The Riv and Larry’s, most of the folks I know would say they frequent The Riv and at one time they even had a “French Fry Festival”. I think I am a French fry snob because of these legendary fried potatoes, I have turned my nose up at most places outside of Sturgeon. On our Saturday travels we happened upon Claude Chip Wagons on Ogilvie. I didn’t plan on blogging about this. First, I should not be eating French fries and second, well, I should not be eating French fries. All I can say now is Sturgeon, my heart, I may have found your match on a dusty, busy, intersection in the nation’s capital. 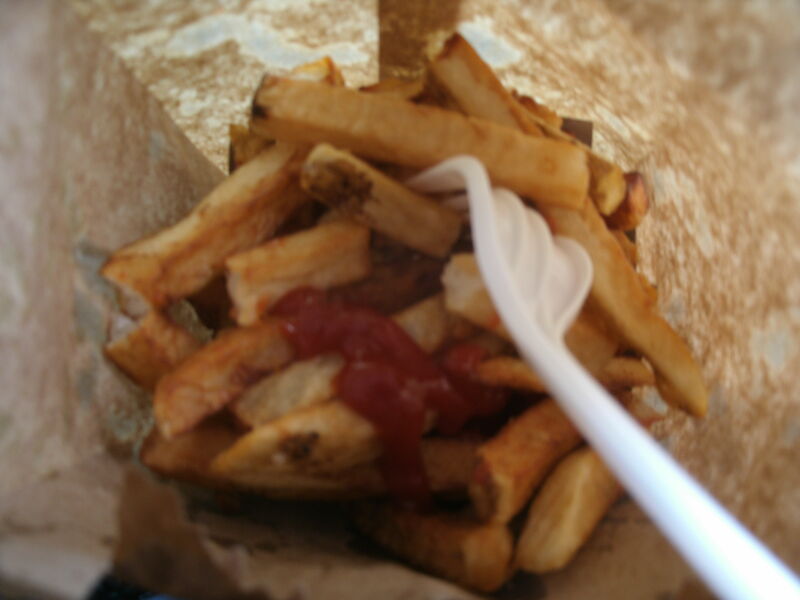 The fries were golden, crispy outside, light fluffy inside and to my delight almost greaseless and unsalted! Lovely PEI darlings. 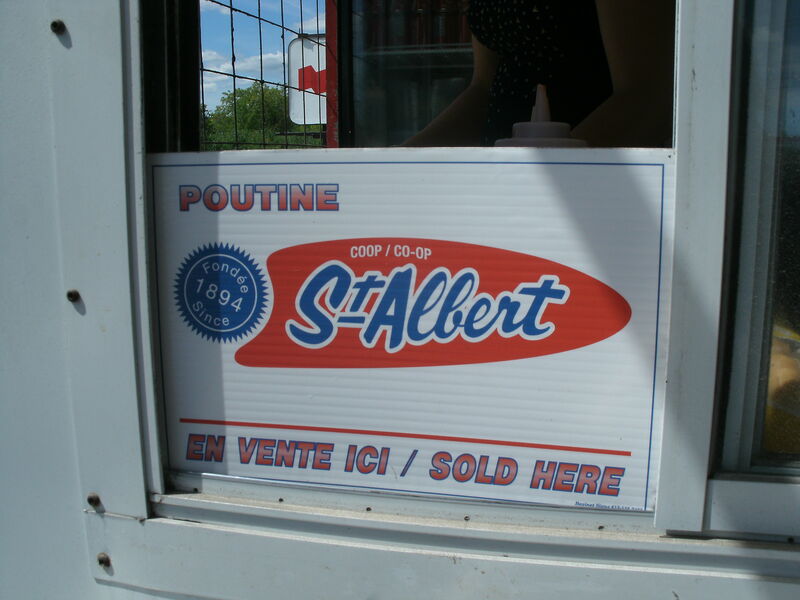 My partner in this combined lack of self-control ordered a medium poutine, the same wonderful chips, a smooth, velvety gravy and St. Albert’s curds. I tasted them, they were hopelessly, sinfully, delicious. How could I not blog about these gems? I spied the owner, Claude Morin walking about greeting customers, explaining the reason for two chip trucks in one spot and handing out menus. With camera in hand I approached him and he was more than happy to speak with me. He explained that items such as salads, sported his homemade dressings, that one truck offered alternate choices like wraps and salads. He also told me he was familiar with his Sturgeon Falls counterparts. We briefly touched on poutine that was being served in high-end restaurants, how chef’s spins on the original were drawing new devotees. He just smiled when I mentioned duck and bacon being some of the more recent additions. The place is busy, but the lines move quickly and the staff is knowledgeable and friendly. BTW, Claude also recommends The Riv for those visiting Sturgeon Falls. 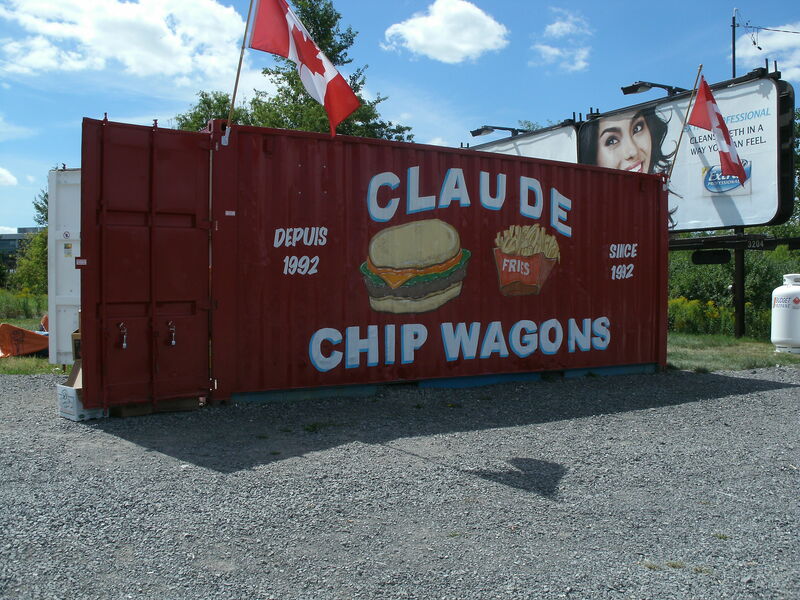 If you choose to vote on the CTV web site, make sure you visit Claude Chip Wagons first! FYI-Did you know that Belgians consume on average 165 pounds of fried potatoes per person each year, a third more than Americans?